To be able to book a place on any of Galahomeopathy event you need to be registered on our website. 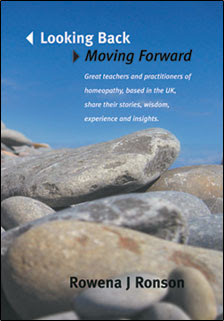 seeks to raise public awareness of homeopathy, with all the latest news, studies and articles. In the literal sense Bio resonance means, sourcing and then introducing all the frequencies necessary for stimulation and regulation of the body.It is fascinating to learn how our bodies’ function in harmony with many natural energies such as Schumann waves which occur between the lower part of the Ionosphere (upper atmosphere) and the surface of the Earth, a distance of about 55 kilometres. This space in essence acts as a resonator cavity for energetic waves (Lasers make use of the resonant cavity principle) coming from solar frequencies, geomagnetic frequencies, those caused by lightning and others. Physicists refer to these as transverse magnetic waves. It was in the 1950’s that Professor Dr. W. O. Schumann of Munich University observed this phenomenon but it was not until 1975 that an Australian Lewis B. Hainsworth noted the correlation between these waves and brain waves. (1) Schumann waves are made up of many differing frequencies but the highest intensity occurs at 7.83Hz, 10Hz is another major Schumann frequency; interestingly these are both important brain frequencies occurring as Alpha waves. Alpha waves are those between 7.5 and 13(Hz) and peak around 10Hz. (2) What an amazing thought that our brains are synchronised with these natural energies! Dr. Wolfgang Ludwig talks of experiments carried out by Professor Waver but never published. (3) He used underground bunkers that were shielded from all external energies and put his test subjects inside for several weeks at a time. He observed that among other symptoms, they experienced emotional distress, migraine and headaches. After exposure to 7.8Hz, which was previously screened out, the symptoms receded. This information has still not filtered through to most Universities with many academics still in ignorance of the existence of Schumann waves. However The Seismic Laboratory at Berkeley University in California are monitoring the daily level of Schumann waves and it is possible to download this information. The website address is huge, just go to www.seismo.berkeley.edu and search for Schumann resonance. Unlike orthodox medicine, energetic medicine has no adverse side effects. This is often a new concept to those with a conventional background, the usual paradigm is ‘if there are no adverse side effects it can’t be effective.’ This thinking comes from chemistry and is something that doctors and patients accept. In Bio resonance the aim is to interact with the body’s own regulatory mechanism and bring it into harmony. If a frequency that applies to the prostate is applied to a woman for example, no regulation or effect of any kind is possible, as the signal will not be recognised by the body. The aim is to holistically help the body, gently, without side effects. This brings us to what the Germans call the ‘biological window’, although not a ‘window’ in the English sense limited by time constraints. To make use of the ‘biological window’ and bring a successful energetic regulation to the body four factors have to be present; the right frequency, the right intensity, the right polarity and sufficient duration. This can be best illustrated by sunlight. As it touches our skin, it triggers off reactions, e.g. pigmentation or the formation of vitamin D by means of ultra violet light in the frequency range of 10 to 400 nanometres or 750 to 1500 terahertz. Integrated in the skin is a regulatory system that reacts precisely to these frequencies. However, for these effects to be triggered the four factors mentioned above have to be present. For example if the intensity is not sufficient or the duration is too short no tanning will occur. If our skin is covered, only heat will get through and the frequencies of ultra violet light essential for triggering these mechanisms will be blocked. These principles can be used to assist the body to a harmonious state and also to protect against harmful influences such as Electro smog (E-Smog) and Geopathic stress. The Rayonex Company states that fully 80% of all health problems can be linked to three areas of concern, these are E-Smog, Geopathic stress and pH balance. Many health practitioners are having great success in following this advice. Let’s look first at E-Smog. Can E-Smog cause serious health problems? Some scientists believe that if a person's naturally occurring electric and magnetic fields are disturbed, serious health problems and disease like cancer can develop. If your home has high EMF readings, it is important to determine the sources, so that remedial action can be taken if possible. Such causes may be equipment, unseen wiring in the walls and even sources behind an adjoining wall. EMFs radiate from all sides of the computer. We must be concerned with sitting in front of the monitor or near a computer or if a computer is operating the other side of a wall. In the early 1990’s a medical physicist from the University of Luebeck had infants brought to him who were perfectly healthy, but their heart beat started to fluctuate wildly for no obvious reasons. As soon as the DECT cordless phone was removed from the bedroom or neighbouring apartment, the infant’s heart beat went back to normal (one of several anecdotal accounts). Of course to treat against the symptoms caused by E-Smog without determining the cause and taking action would be of no benefit and could even stress the body further. An experience from a practitioner in Germany well illustrates. A young boy was brought to her clinic after his parents had taken him to the doctor complaining of headaches. The doctor had given him a clean bill of health but the headaches continued. The practitioner used a Rayocomp device and found the following regulating frequencies were blocked. 22.5, 40, 77.5, 78.5, 89.5 and 99.5. These frequencies are always blocked in a case of heavy E-Smog. The parents could not explain why this should be so, as there were no unusual devices in the room or outside factors that could have this effect. Upon checking the house and bedroom and drawing a blank, the boy volunteered information that when he went to bed he placed a small mains powered tape player under his pillow, which he said made his head warm and felt comfortable! He removed the device every morning so his mother did not link the device to the problem. (13) Treatment without removing the cause would have been useless. It’s clear that the first step need not be a treatment but could merely be an avoidance of harmful influences. This is a prime example of the principle that 80% of illness can be resolved by addressing the 3 areas of E-Smog, Geopathic stress and pH. Most complementary practitioners are convinced that disease does not result from a deficiency of synthetic chemicals. The most important role of the natural health practitioner is that of a detective searching out underlying root causes of disease. Dr Hans Nieper a renowned Oncologist stated in his book, Revolution in Technology Medicine and Society; "According to studies I have initiated, at least 92% of all the cancer patients I have examined have remained for long periods of time - especially in respect of their sleeping place - in geopathically stressed zones." The links between Geopathic stress and degenerative disease are anecdotally documented by therapists working in this field, so we will not specifically consider them here. (A good reference website in this regard is www.houseofstrauss.co.uk ) However, it is fascinating to see the results when using the Rayocomp PS1000 polar to check a person affected by Geopathic stress. This reveals disturbances in the frequencies of many body mechanisms including a large number in the range 22.00 to 25.75. The regulation frequencies of the cellular system lie precisely in this range and are consequently burdened by Geopathic stress. (9b) If a person sleeps for an extended time over such an area it is logical that degenerative/inflammatory disease can ensue. The Rayocomp devices can be used to check both the body and an area such as the bedroom for evidence of Geopathic stress. What then? The best possible action is to reposition the bed in a safe area. If this is not possible then a suppression device such as the Duplex III can be positioned. This is frequently the best solution as even if the bed is optimally positioned; other parts of the house may still be a source of stress. The Duplex device produces a biological field, which allows a regulation of the organism in spite of existing Geopathic disturbance. The PS1000 Polar can be used in a wide variety of additional ways. The main usage is allergy testing, not surprising considering the potent chemical additives used in our food, body care products, household cleaning products and so on! An ‘Acupuncture module’ is integrated into the device with the 14 main meridians being displayed as testing and treatment progresses. This module makes acupuncture possible without needles or electrical treatment. There are 54 main integrated treatment programs with many others available. The most important program is ‘Pre Control’ no. 51, which harmonises the main regulatory frequencies of the brain and major organs. Other programs are Cerebellum, Nervous system, Arteries, Veins, Cell structure, Hair, Skin, Immunologic system, Depression, Teeth and others grouped as Sense organs, Organs, Skeleton and Musculature. New programs are being developed constantly, individual frequencies discovered and these are made freely available to Rayocomp users. The PS1000 Polar is a multi functional device with a modular construction that allows the continual upgrading of the device without having to purchase new and separate machines. It is refreshing to see a Company that really practice what they teach. The Rayonex headquarters - the new Sauerland Pyramids, are a fine example of health and the environment being given priority in a practical, beautiful building. Many of these features were optimised by Bio resonance such as positioning the building to negate Geopathic stress. Biological field configuring devices are in use inside likewise. A rainwater collection and recycling system is installed. Heating comes from the Earth with a geothermal installation. Of course we live in a modern world and it is not practical to avoid the use of electrical devices, PCs etc. Nevertheless the electrical installation makes use of shielded cables and low voltage lighting with automatic switching further reducing unwanted EMFs. In addition to providing office and manufacturing space the complex houses an Event Pyramid for lectures, training sessions and workshops. A Therapy Pyramid is planned. Both buildings and setting are inspiring, this truly is a place for Bio resonance to grow and develop. Health Leads have checked out many Bio resonance systems and found Rayonex to be the most impressive to date. We are honoured to be associated with the Rayonex venture. (a). Bio Resonance According to Paul Schmidt 2006.61-62. (b). 88. Concerning the Effectiveness of Bio-Resonance Devices According to Paul Schmidt on the Electro-Encephalographic Activity of the Human Being by Dr. Elmar Weiler & Dr. Klaus Brill NeuroNet GmbH Annenstraße 10 66606 St. Wendel, Germany.